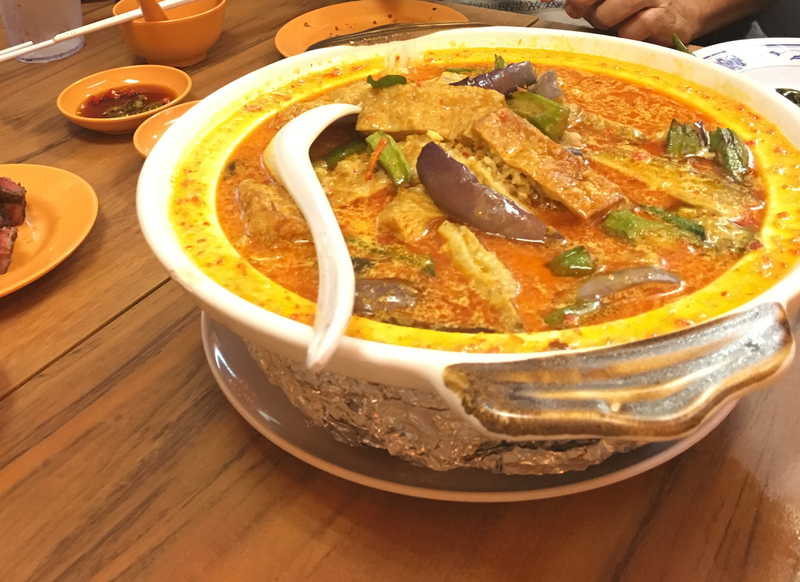 I had heard of New Ubin, but it was one of those "famous" restaurants that I was so sure would be overpriced and underwhelming.... and boy, was I wrong. Note: They have just moved from the Sin Ming area to a bigger location on Hillview Avenue, which is still casual, but a little hard to find (it's basically a refurbished food court on the 6th floor of a commercial building, hidden in the car park area). One of their signature dishes is the US Black Angus Ribeye Steak (S$ 14/100gms, minimum order 500g), served with Fried Rice, Potato Wedges, and Caramelised Onions. It's everything you could want in a steak: Tender, juicy, bursting with beef-y flavour, and wonderfully seared, with a lovely smoky fragrance. The addition of the fried rice, potato wedges, caramelized onions, sea salt and mustard on the side give you a variety of ways to "mix up" the flavors, but the steak is just wonderful on it's own. If you feel like something Asian instead, the Curry Fish Head (S$26) is a must try - Fresh fish, cooked perfectly, swimming in a thick, fragrant curry filled with other goodies such as succulent eggplant strips, ladies fingers and taufupok (tofu puff). This dish always causes us to "accidentally" overeat rice. Do remember to leave some space for dessert. My favourite (so far) is the Banana caramelised with Gula Melaka (S$5/ serving), and Coconut sorbet (S$2/ scoop). It's sweet without being overwhelming, beautifully caramelized, and goes so well with smooth and fragrant coconut sorbet. I can see why New Ubin earned it's place on the Michelin Singapore Bib Gourmand list (of which the main downside is that it is just impossible to go there without a reservation now), and I'm definitely looking forward to going back and trying more dishes in future.